The high-end beauty and skin care market is one of the fastest growing luxury industry. Euromonitor International estimates a 6% growth for the year, with the premium skin care segment outperforming its mass market counterpart for a third year in a row. Affluent consumers have an appetite for skin care knowledge and are receptive to learning about and engaging with luxury brands online. High-end skin care brands have an opportunity to build digital appeal and credibility by tapping into global consumer demand for entertaining and educational content. Beauty and skin care remain industries that are driven by fast-disappearing fads. Aside from uncovering robust trends, the digital-driven discovery of new skin care products and the information is borderless. This necessitates that digital marketers be attuned to the ebb and fall of global trends, which makes forecasting trickier than ever. The way luxury skin care brands engage with consumers online are changing as conscious consumption and scientific expertise become priorities. Power players like Unilever have made moves into the high-end skin care category with the acquisition of boutique brands, heralding an increasingly competitive landscape. 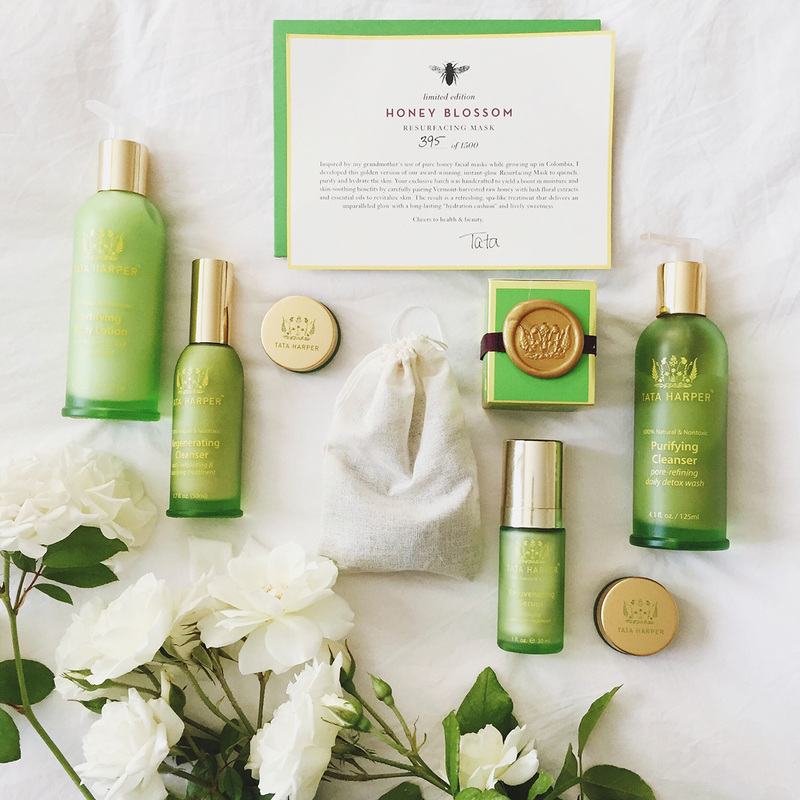 Harness a multi-faceted digital strategy that embraces conscious luxury and natural organic skin care by showcasing transparency and authenticity. Luxury skin care brands need to build credibility amongst well-informed consumers by demonstrating unparalleled expertise around the science behind their products. Carefully vetted collaborations with online beauty influencers and luxury online retailers become potential components to a well-rounded global digital strategy. Exercise a global mindset when it comes to beauty trends and potential audiences. Search data is an invaluable resource to determine specific, global long-term trends in the luxury skin care category. Skin care remains the key revenue driver in the beauty industry with global sales expected to exceed $130 billion by 2019. The high-end beauty and skin care category is growing; however, in order for luxury skin care brands to capitalize on the growing industry, marketers need to keep abreast of robust, global skin care trends as well as changing consumer demands. The following report identifies longer-term sustaining skin care growth drivers and their broader implications, clarifies the fast-changing relationship between consumers and brands, as well as illuminates the mindset and approach digital marketers need to adopt in order to gain ground in the coming years. The high-end beauty and skin care industry is largely driven by fast disappearing fads. The ability to harness rising, robust trends and understand the bigger implications driving them is vital for brand growth. Search data is a reliable source of information that provides insight into healthy trends by directly looking at consumer interests and considerations. That said, according to Think With Google’s 2017 search trends report, a noteworthy shift in the category points to the evolution of luxury skincare from a fundamental obligation to a sensorial experience. Two of the specific trends driving a more playful, experimental approach to high-end skin care is the growing prevalence of masks and Korean skincare. “Masks” is deemed by Think With Google’s 2017 search trends report as a “sustained riser” — a trend that has seen steady growth over the past years in the industry and is considered a “safe bet”. According to the report, masks have been prominent in Japan over the past year and has recently taken off in both the U.S. and France. Based on global search data, “Korean skin care” has also seen sustained, rising popularity globally. Elevating skin care from a one-step obligation to a multi-sensory experience, the tenets of Korean approach involves an arsenal of varying luxury skin care products that comprise a 7 to 10 step regimen. Lauded by the beauty industry as a game-changer, this involved routine has helped transform a previously underplayed step into a thriving category that consumers are willing to spend time and money on. As both Korean skin care and masks make for online educational and entertaining content, it comes as no surprise that beauty influencers have embraced the trend and consumers have become avid viewers. With a proliferation of social media how-tos on both masks and Korean skin care, it’s clear that digital and social activation has been integral in growing this global phenomenon. 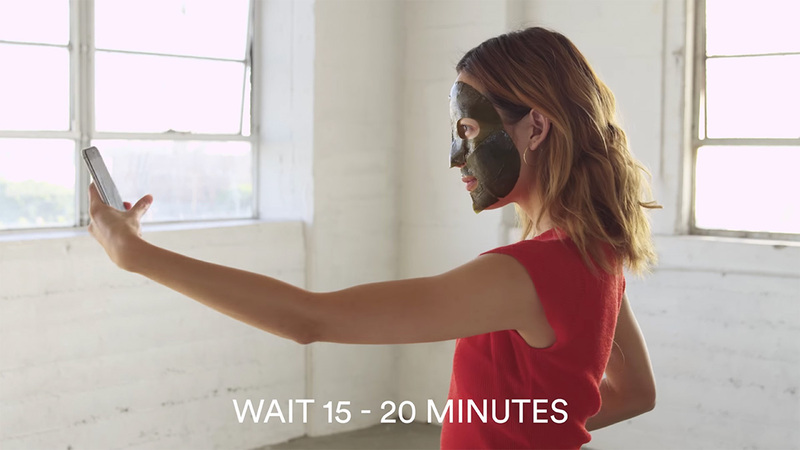 Youtube videos have gained traction, particularly for Korean skin care as influencers create longer-form content demonstrating the steps of this complicated routine and which luxury products consumers can use at each step. The video demos — which emphasise not only the steps but also the experimentation and exploration of various products — have been met with much success. For instance, digital influencer Rachel Nguyen, whose normal videos rack up views in the low six digits, saw almost 1 million views on a video dedicated to the 10 step routine. Both robust trends point to a bigger shift in the skin care category, and as high-end skin care brands look to acquire modern luxury consumers, marketers need to approach the category with a new focus. There is a growing desire amongst global consumers for skin care to be an experience in and of itself. Highlighting the sensorial experience online and on key social media platforms, like Instagram and Youtube, should be a point of focus for luxury skin care brands. Skincare, and beauty for that matter, has been predominantly a “try before you buy” industry, influencer marketing becomes a desirable way for potential consumers to explore and vicariously test out skin care products from the convenience of their mobile phones. In parallel, affluent consumers are also actively seeking tutorials from trusted digital influencers. Thus, engaging in influencer collaborations to produce original, entertaining content centred around globally relevant trends has become an essential strategy for skin care digital marketing. However, influencer marketing isn’t without its pitfalls, and luxury skin care marketers need to be cautious about selecting the right partnerships that will build on existing brand equity and not detract from it. Read our deep dive into the pros and cons of influencer marketing to avoid pitfalls. More so than ever, consumers are interested in, and have access to digital resources, to become fully conscious of the circumstances in which their purchases are made. Conscious consumption has not only impacted fashion and food industries, but also the luxury skin care category. Whether it’s from a growing distrust of brands, a heightened awareness regarding the use of harmful chemicals in skin care or an increased concern with being environmentally conscious, modern consumers want to understand the origins, process, ingredients and impact of the luxury skin care products they’re investing in. For luxury skin care, this desire has manifested in the overwhelming popularity of all-natural organic products. In fact, a study by Nielson reported that 46% of consumers are willing to pay more for organic skin care products. The luxury organic and natural ingredients beauty market has seen 24% growth over a four-year period, and is projected to reach $13.2 billion in 2018. Search data also supports the industry’s robust performance. According to the same Think With Google trends report, “organic” is trending as a skin care search term globally and is expected to be a “sustained riser”. The paragon of natural skin care, “vegan” skin care, has also seen 83% growth year over year in the U.S and is starting to rise in France. Luxury skin care marketers need to understand that this movement towards “clean” skin care and organic consumption necessitates more than just vague claims. Although all-natural ingredients and organic beauty products are specific trending elements of luxury skin care, the overarching theme is one around transparency and substantiation. It is without a doubt that the burden of proof falls upon brands, and skin care brands that are thriving are the ones that embrace an unprecedented level of transparency into the entire manufacturing process. Perhaps that’s precisely why the luxury skin care and beauty brand Tata Harper has become a best-seller on Sephora and a cult favorite as deemed by the “Queen of Beauty Bloggers,” Caroline Hirons and the likes of popular beauty blogs such as Into The Gloss. Named after its founder, the luxury brand produces, formulates and manufactures products on Harper’s 1,200-acre farm in Vermont. Third-party certifications (cruelty-free, all natural ingredients, 100% vegetarian, etc) are proudly displayed on the brand website, but Tata Harper goes the extra mile to establish transparency. From its Open Lab and Traceability Program to introductions of each member of the manufacturing team, the brand aptly embraces the tagline “Next Generation Beauty” and caters to the level of conscious consumption that modern consumers are looking for. In order to practice conscious consumption, high-end organic skin care brands need to take the initiative to share more about their practices, their process and to prove that their stated purpose is matched by reality. There are undoubtedly benefits for luxury organic skin care brands to adopt the type of radical transparency that connects consumers with the production and manufacturing process. Not only does it add brand authenticity, but it could also tangibly justify charging at a premium. Indeed, luxury organic skin care seems to be going through a revolution — one that is characterised by transparency in labelling, clean ingredients and an environmentally-conscious ethos. With the power of search behind them, consumers have the desire and the means to understand what goes into their luxury skin care products. Expectedly, this has weighty implications for organic skin care marketers and asks for a cultivation of digital-led transparency and substantiation. Not only are affluent consumers educating themselves on the origins and processes of all-natural skin care, but those who prefer a science-driven approach are actively searching online to find out the exact science behind their luxury skin care products. From lactic-acid toners to retinoid treatments, luxury skin care consumers are turning to trusted online sources to make informed choices, learn about the latest science, and find products with key active ingredients to target their particular skin care concerns. As hyper-educated consumers are becoming the norm, experts in the industry have coined an appropriate name to describe those with a pseudo-academic pursuit for scientific skin care knowledge: “skintellectuals”. For these digital affluent shoppers, even packaging is a point of scientific concern. For instance, skintellectuals understand that storing a volatile formula in a jar rather than an airtight pump exposes it to oxidation damage. It is evident that affluent consumers are raising the bar when it comes to high-end skin care not only in terms of conscious consumption but also scientific innovation. They’re demanding brands showcase a new standard of expertise and knowledge. In response, digital-first skin care brands like NIOD (a high-end line from parent company Deciem) have gone to great lengths to establish scientific credibility. And they do this by employing a multi-pronged digital strategy. 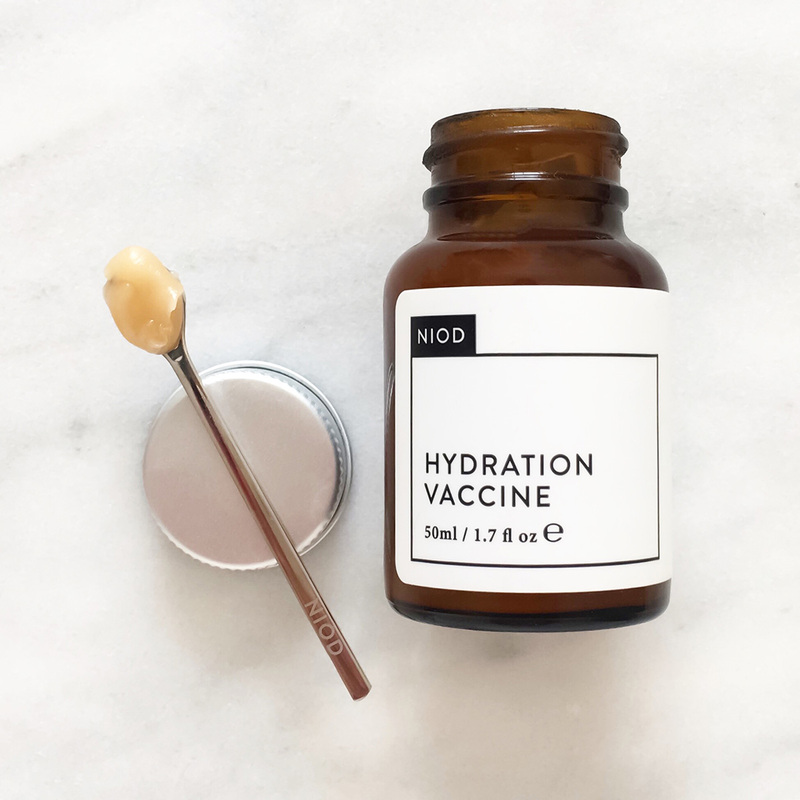 From an information-rich brand website to Instagram posts boasting of beauty awards, NIOD practices a no holds barred approach when it comes to disclosing the “why” of their products. Say a premature hello (launching in late May) to MMHC2, the next generation of NIOD’s best-selling Multi-Molecular Hyaluronic Complex. This updated edition introduces two new forms of hyaluronic compounds, including a first-ever use of direct hyaluronic acid not in sodium salt form, for a combined total of 15 forms of hyaluronic compounds, hyaluronic precursors and a hyaluronic support technology in a peptide-charged delivery system. Even more so, the conversation with NIOD isn’t just one-sided. The brand is open for dialogue and encourages curious shoppers to send any product or skin care questions to their team of “monkeys” — a playful term NIOD uses to refer to themselves. According to a recent study, by ATKearney on Beauty and E-commerce, consumers are seeking more value-add from brands. A reported 48% of users say that the messages they receive from high-end beauty brands are generic. In this respect, brands like NIOD are in the vanguard of knowledge-driven content. Speaking to online audiences as a skin care expert and engaging in an educational, informative exchange establishes both authenticity and credibility. Although some may question whether this may to be a case of information overload, NIOD’s approach seems to be working. Recently, The Estée Lauder Cos. Inc. became a Deciem (NIOD’s parent company) investor. There are several digital implications for luxury skin care brands. First and foremost, consumers’ appetite for educational content is voracious. Luxury skin care brands based in science need to communicate their solutions effectively. Consumers have become self-educated skin care experts in their own right, and high-end skin care brands that feel they can charge a premium price point without demonstrating their own expertise will not successfully reach this discerning audience. Even more so, the majority of skin care education happens online. There are clear opportunities to participate in original content creation, quality partnerships and targeted digital activations. Luxury skin care brands can also approach digital strategy through the lens of “online learning.” What type of content, channels and collaborations could provide interested consumers with a mini crash course on the science behind the product? Those that fail to engage and establish credibility in the digital sphere — through 360 activations of owned, earned and paid channels — will struggle to gain traction in the luxury playing field. Affluent consumers who want the latest innovation in skin care solutions don’t just want to hear about the end result, they need to understand the science behind the claims as well. Trends aside, the luxury skin care market is also experiencing market shifts driven by a few key acquisitions. One of these companies is Unilever, a company that historically hasn’t been a strong player in the luxury category. It formally entered the high-end skin care market in 2015 with four key acquisitions – REN, Kate Somerville, Dermalogica and Murad. This marks a point of departure from the status quo, as the prestige skin care category has thus far been largely dominated by indie brands like Tata Harper and NIOD. For boutique luxury skin care brands faced with increased competition from companies with extensive scale, partnerships with high-end online retailers is one way to strengthen both credibility and reach. To explain, e-commerce is evolving in almost every category, and the luxury skin care industry is no exception to the rule. As affluent consumers turn their attention to trusted online sources for self-education, shopping online for prestige skin care is also becoming more commonplace. Traditionally, high-end skin care brands have been conservative on distribution in an effort to assert control over pricing and brand image. However, in reaction to evolving consumer behaviour, many skin care brands have turned to luxury online retailers who have built a level of trust and credibility amongst shoppers. Many digitally-savvy high-end online retailers have actively highlighted their own vetting standards and pushed “expert credibility” to the forefront of their communications strategy. For instance, Violet Grey adheres to a high standard for their carefully curated products. As explained on their website, “The VIOLET CODE is a testing process and set of standards by which our community of top makeup artists, hair stylists, estheticians, dermatologists, and celebrity influencers distinguish the finest beauty products in the world from the tens of thousands on the market. 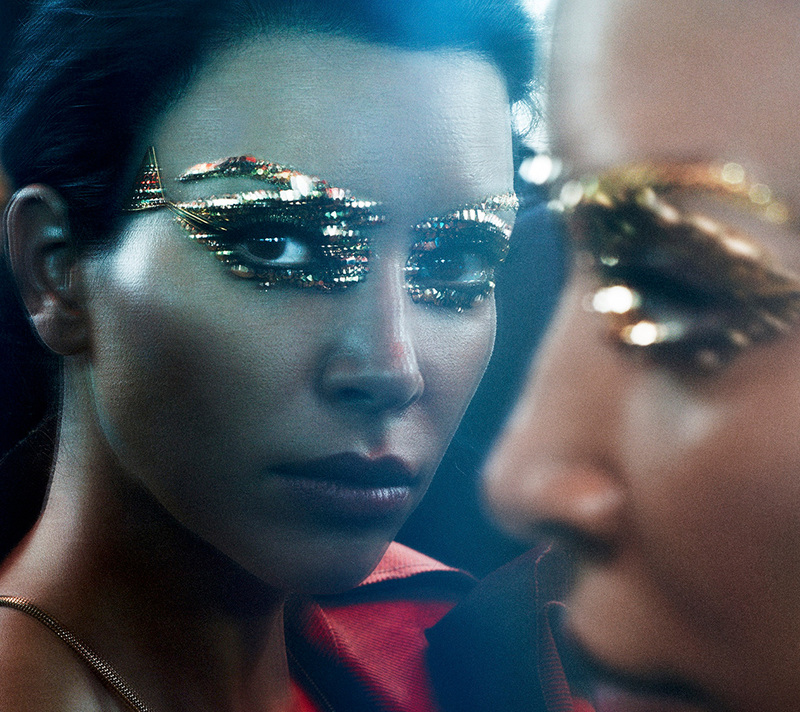 The result is a curation that is truly the best in beauty from those who know best. All products approved by the VIOLET CODE.” Cult Beauty is another example of a dedicated high-end UK e-commerce site that appeals to luxury skin care brands as a potential distribution partner and affluent consumers looking to shop online. Alexia Inge, the founder of luxury skin care retailer Cult Beauty, said in a recent interview, “We always have a full ingredients list for every product on the site, even if we have to manually copy it out from the side of the bottle.” The thorough effort to cater to affluent consumers’ demands makes high-end online retailer partnerships beneficial for luxury skin care brands. The growing prevalence of prestige skin care collaborations with online retailers is more than just a passing trend. According to Anne Zybowski, vice president of retail insights at Kantar Retail, it’s luxury that’s driving digital sales in the drug and beauty industry. “Luxury, in general, has been a big piece that has led in terms of online growth, particularly when you start talking about upscale skin care and cosmetics.” Fueled by changing consumer behaviour, the relationship between luxury brands and e-commerce continues to evolve. As competition heats up with power players entering the luxury skin care category, digital marketers should carefully consider symbiotic relationships with high-end online distributors that enhance the brand’s credibility and reach. The prevalence for consumers to discover skin care brands online coupled with the rising popularity of global shipping for luxury online retailers enable trends to rapidly cross borders and become international phenomenon. Think With Google’s skin care report for 2017 not only highlighted specific search trends to take note of, but it also acutely pointed out the influence and transfer of trends across countries. For instance, masks and Korean skin care, discussed at the onset of this report, were country-specific trends that caught on with the rest of the world. Interestingly, both trends originated in Asia and elucidate the potential for Asian trends to take hold in Western markets. In this respect, digital media, especially social media, has truly flattened the world when it comes to the beauty and skin care industry. In order to stay ahead of the curve, digital marketers need to have global awareness and a borderless approach to forecasting. This is especially true for luxury brands vying for the attention of Millennials who lean towards a more multicultural and multinational approach to beauty and skin care. As Karen Grant, global beauty industry analyst for The NDP Group points out, “The impact of the Internet has further changed the way brands engage with and reach consumers. In this environment, major brands are looking… to resonate with younger consumers, who are not only fresh to the market, but more multinational and multicultural.” As discussed previously, in order to discern fading fads from robust trends, search data is a reliable tool to keep abreast of sustained, rising global trends. Besides global beauty trends, luxury digital marketers should also be aware of global audiences. Under the right context, boutique high-end skin care brands have the potential to capture international appeal and global sales. If aligned with overall business growth objectives, luxury marketers should not only be attuned to global trends but also consider if and how they should leverage digital and content strategy to capture relevant international audiences. The way luxury skin care brands engage with customers has evolved beyond just skin deep. As skin care becomes an almost-academic pursuit for many affluent consumers, brands must rise to the occasion. The key drivers for global consumers revolve around sensorial experience, conscious consumption and a growing thirst for skin care science. Luxury skin care marketers will need to engage in a comprehensive digital and content strategy that showcase not only transparency but also authentic, infallible expertise around their product. From a market standpoint, increased competition from the likes of Unilever creates opportunities for indie brands to collaborate with luxury online retailers in order to increase credibility and distribution. Looking at advantageous alliances, understanding global trends and their broader implications along with a borderless mindset are needed guardrails to position luxury skin care brands for success in the future. Google unmasks the skin care trends of 2017, by Yarden Horwitz and Olivier Zimmer, February 2017. Beauty consumers favor “cruelty free” and “natural”product claims, by James Russo, SVP, Global Consumer Insights, Nielsen, March 24, 2015. What’s Driving The Billion-Dollar Natural Beauty Movement?, by Rina Raphael, Fast Company, May 26, 2017. Are You A Skintellectual?, ATKearney, 2017. Why Estee Lauder Invested In Multi-Brand Skincare Brand Deciem, Forbes, June 16, 2017. Unilever has taken measured move to crack the prestige skin care market, by Andrew McDougall, Cosmetics Design, July 20, 2017. The Way We Buy Beauty Now, How millennial skepticism is revolutionizing the beauty industry, one purchase at a time. By Beth Shapouri, Racked, May 26, 2016. Cover photo by Candice Lake.